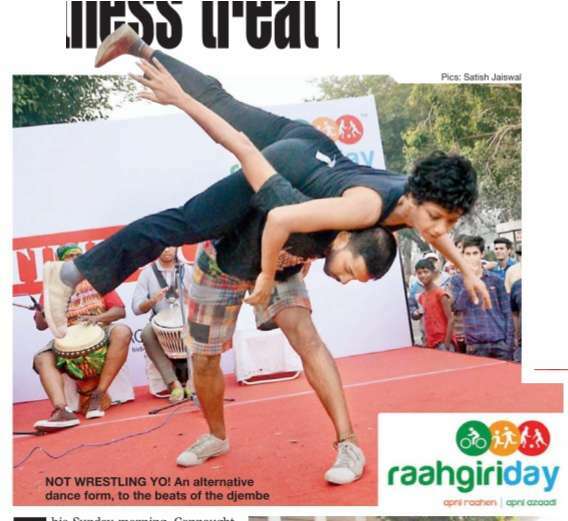 This Sunday morning, Connaught Place turned into..
one giant fitness centre as Dilliwallahs discovered the fitness freaks within themselves through activities like Zumba, aerobics, yoga and a lot more at Raahgiri Day , supported by the Times of India. 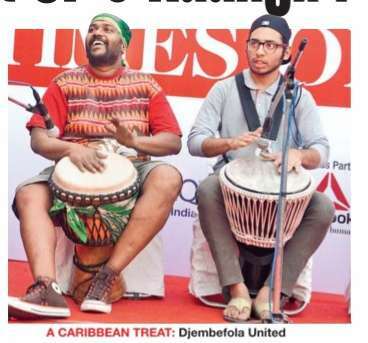 The percussion band Djembefola United kicked off the morning with a foot-tapping performance which had dancers showing off moves from alternative dance forms.This was followed by an invigorating Zumba and cha-cha workshop by Beats & Fusion that had the crowd dancing along merrily. 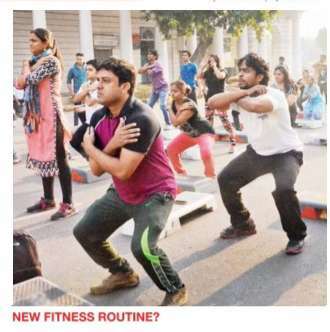 In line with the fitness theme of the morning, the group Yog Youngistan conducted a session on aerobics and yoga set to the tunes of Hindi songs. 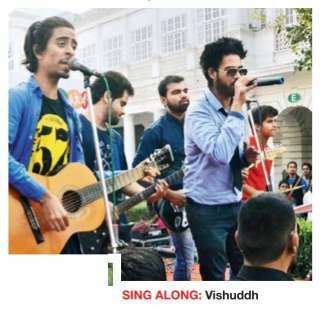 Music lovers were in for a treat as well, as the band Vishuddh played some of the popular Bollywood melodies from this year to a loud applause from the audience.